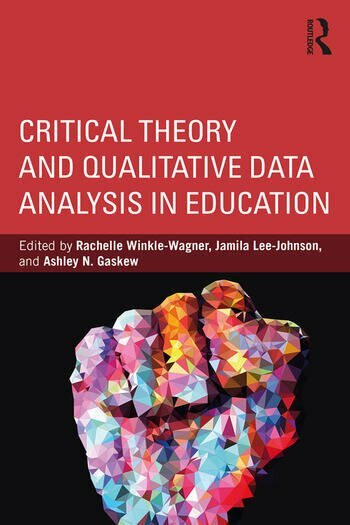 Critical Theory and Qualitative Data Analysis in Education offers a path-breaking explanation of how critical theories can be used within the analysis of qualitative data to inform research processes, such as data collection, analysis, and interpretation. This contributed volume offers examples of qualitative data analysis techniques and exemplars of empirical studies that employ critical theory concepts in data analysis. By creating a clear and accessible bridge between data analysis and critical social theories, this book helps scholars and researchers effectively translate their research designs and findings to multiple audiences for more equitable outcomes and disruption of historical and contemporary inequality. Rachelle Winkle-Wagner is an Associate Professor of Educational Leadership and Policy Analysis at the University of Wisconsin–Madison, USA. Jamila Lee-Johnson is a doctoral student in the Educational Leadership and Policy Analysis program at the University of Wisconsin–Madison, USA. Ashley N. Gaskew is a doctoral candidate in the Educational Leadership and Policy Analysis program and the Curriculum and Instruction program at the University of Wisconsin–Madison, USA.